My guess is that you don’t eat mint, chocolate and peanut butter in combination very often. Mint and chocolate (York Peppermint Patties) or chocolate and peanut butter (Reese’s amen), but not all three in combination. And neither had I, until I tried these unexpected delights, a chewier/better version of these monster cookies. It is so odd, but the Andes mints really do add something that makes these just irresistible. And I really liked the texture that the old-fashioned oats lend to the finished product. Portable and pleasing, these are. Enjoy in plenty. Inspired by this recipe. From Katrina. 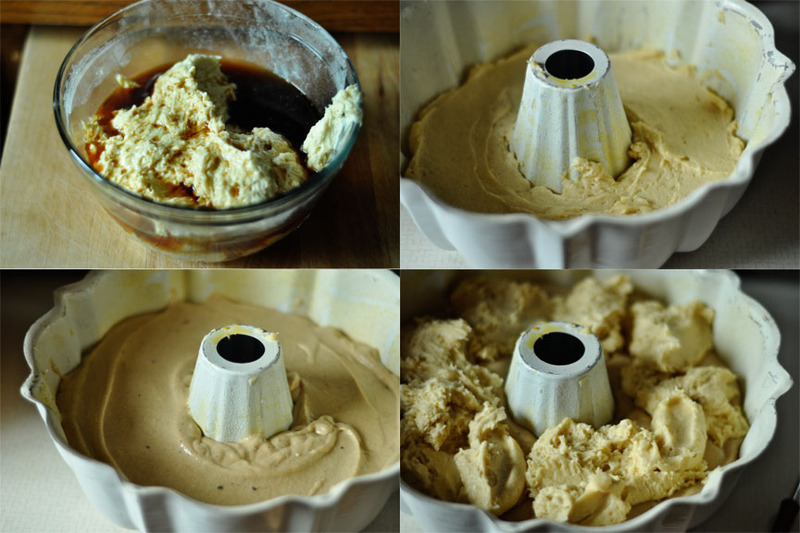 Cream the butter and sugars together in the bowl of a stand mixer fitted with a paddle attachment for a minute or two, then add in the peanut butter, creaming until combined. Scrape down the bowl and add the eggs, beating until well mixed. Mix in the baking soda, corn syrup and vanilla. 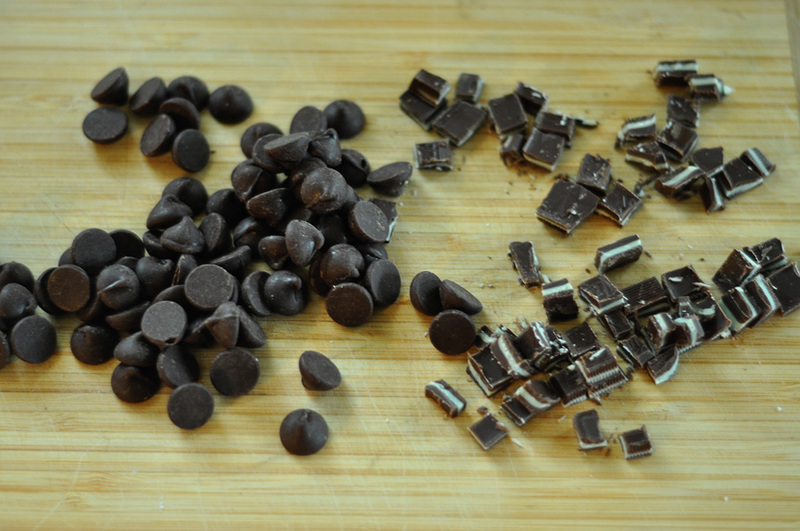 Reduce mixer speed to low, stir in the oatmeal, then stir in the chocolate. 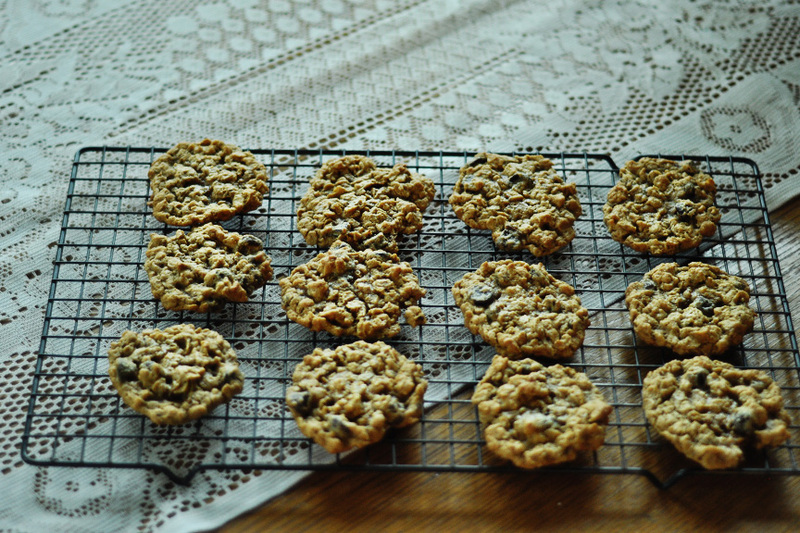 Drop by spoonfuls onto a parchment-lined cookie sheet, allowing room to spread. Press down slightly with the back of a spoon. Bake at 350F for 9-11 minutes. Don’t overbake. 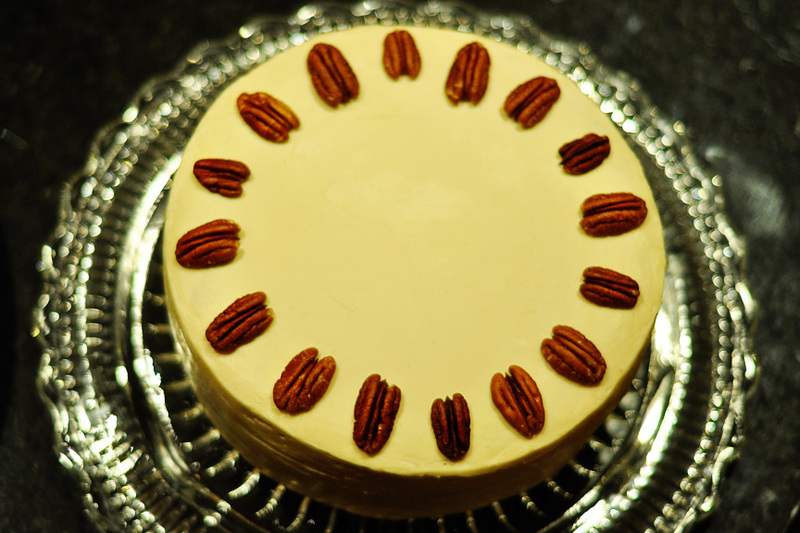 This cake should be straight out of ‘Gone with the Wind.’ I only say that because it’s the only classic Southern book I can think of right now, and doesn’t the plate and pecans just make you think of a Southern belle Paula Deen caramel cake tea party? It does me. This is my third breakfast-inspired cake for my cousin’s shower. 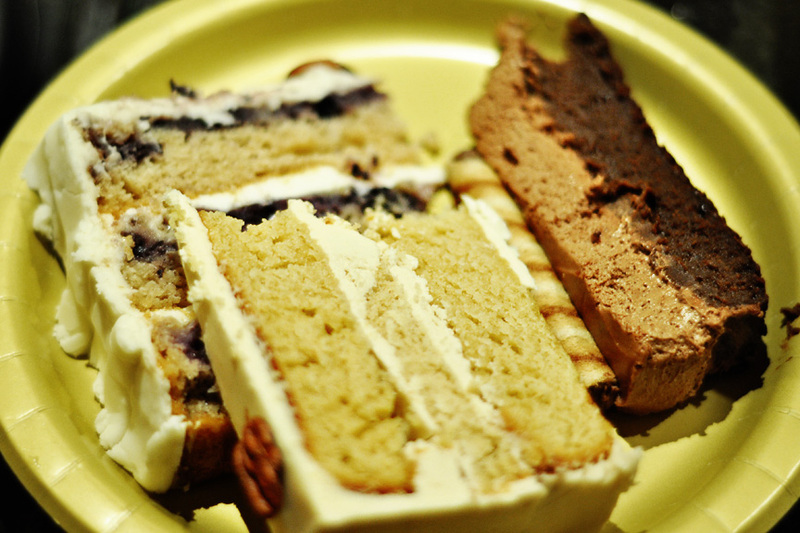 You can salivate over the gluten-free Nutella mousse cake and blueberry muffin cake I did if you want. I won’t right now, because I’m typing right now, and who has time to clean off their keyboard?, but you just feel free to click those there links. The idea was that it would be like a stack of orange pecan french toast drizzled with maple syrup. 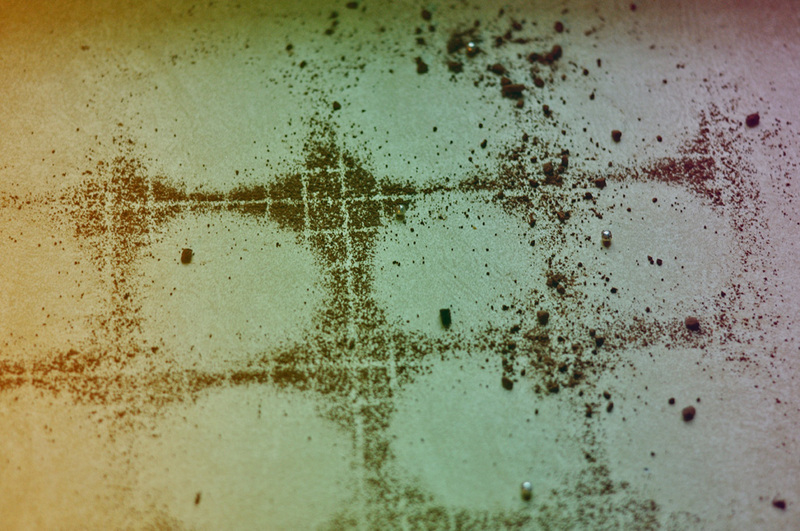 The sponge itself uses maple syrup as the sweetener. I really should have found a better recipe–the mixing technique was odd, and I don’t think the butter and syrup were well-incorporated, which caused problems. I thought it was a bit dry and not fluffy at all, but some people at the shower said it was their fav, so I don’t know. To each his own, or her own, as it were. Do guys ever go to baby showers? Maybe not. Also, I had no zester or grater when I was making this, so I was pitifully trying to peel an orange with a dull knife and then lazily trying to slice it into tiny bits. It was a fail, and the orange really didn’t come through. The idea was solid, though, and I have hopes that if I try this again, I could do it much better. Smooth like butta. Oh wait, it is butter. 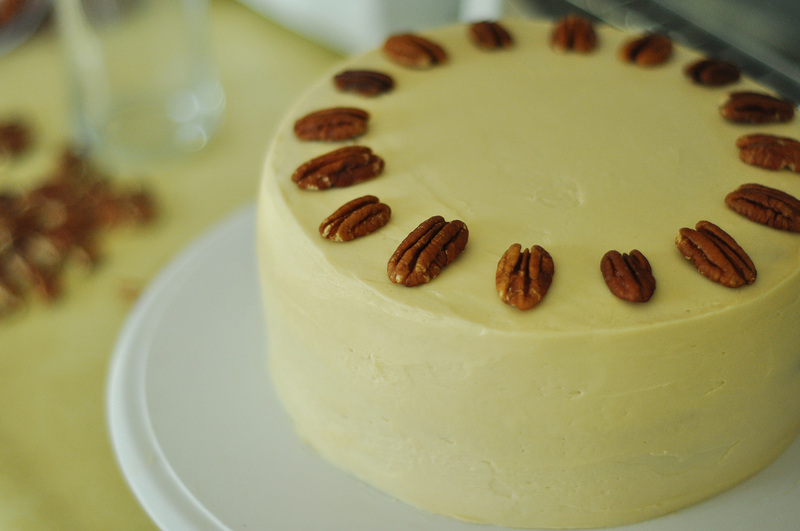 Buttercream, that is. Delectable. I feel like the decor job saved this cake from my ultimate disapproval. Cake adapted from Epicurious. This will make two 8-inch layers. 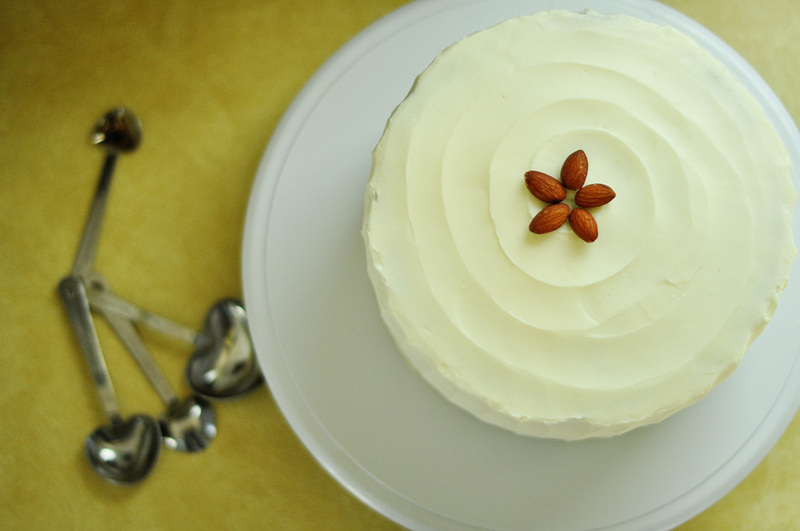 You can find the frosting recipe at smitten kitchen. Add maple flavoring in place of vanilla flavoring. Preheat the oven to 325°F. Spray two 8-inch-diameter cake pans with 2-inch-high sides with non-stick spray. 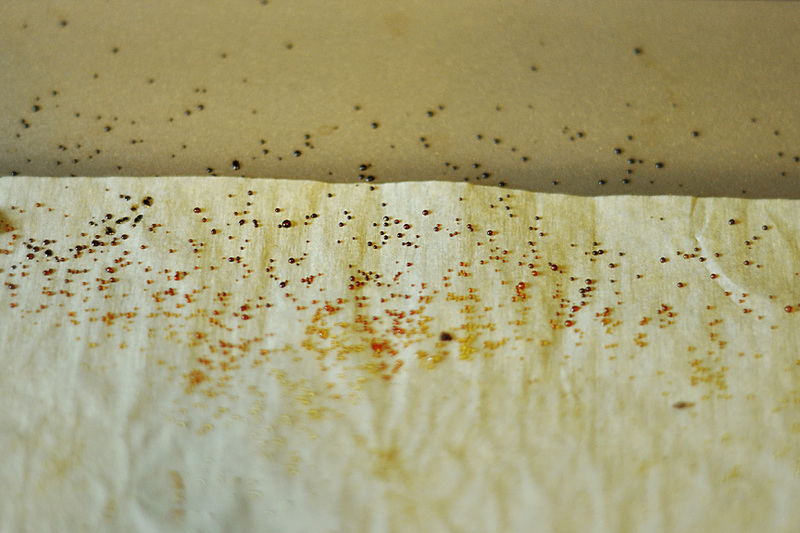 Line bottom of pans with parchment paper, and spray the parchment. Dust the pans with flour and tap out excess. Combine the flour, baking powder, and salt in a medium bowl. 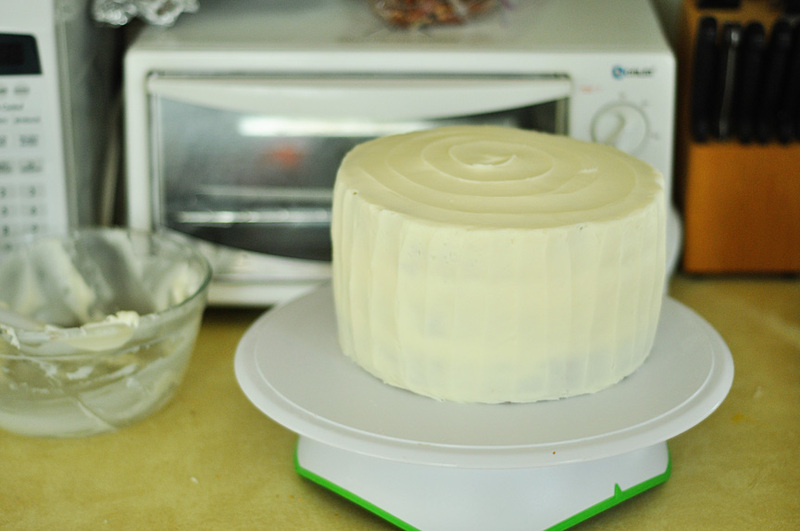 Using an electric mixer, beat the butter in a large bowl until light and fluffy. Add the maple syrup and beat until smooth, about 3 minutes. Add the egg yolks and egg, one at a time, beating until well blended after each addition. Beat in the flour mixture in three additions, alternating with the milk in two additions. Divide the batter equally between the two prepared pans. Smooth the tops. 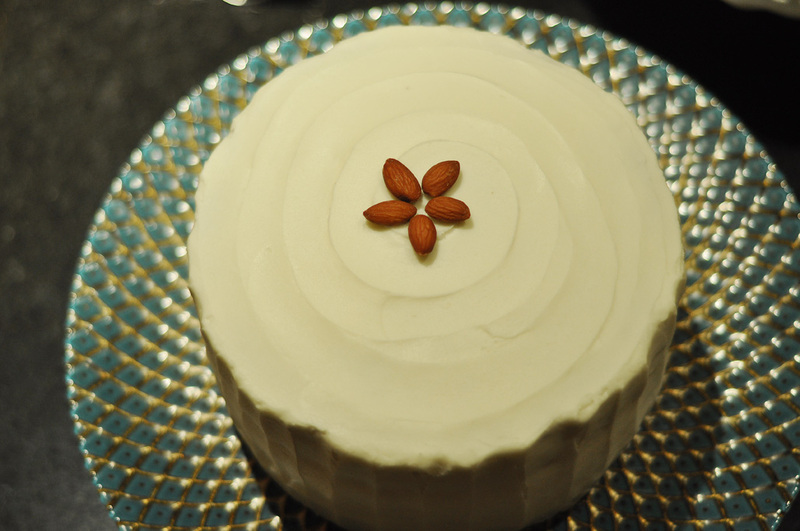 Bake cakes until tester inserted into center comes out clean, 50 to 55 minutes. Cool the cakes in pans on a wire rack for 20 minutes. 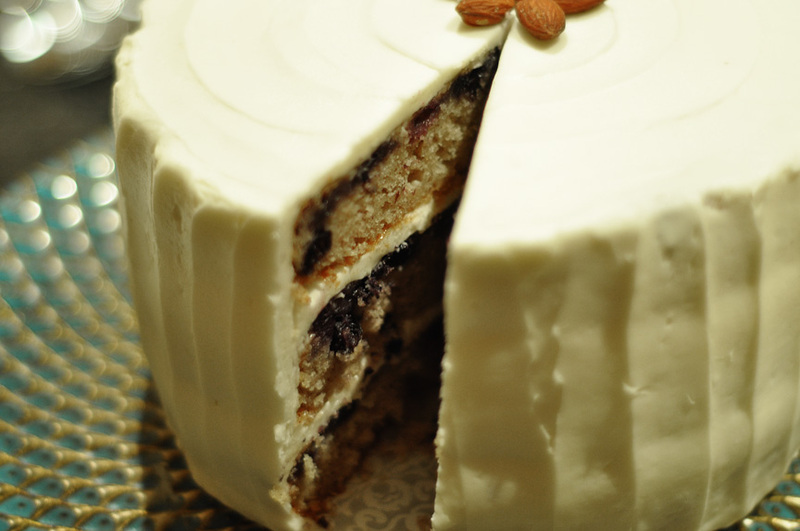 Run a knife around the sides of cakes and invert cakes onto a wire rack. Remove parchment, and let cool completely. Frost as desired. 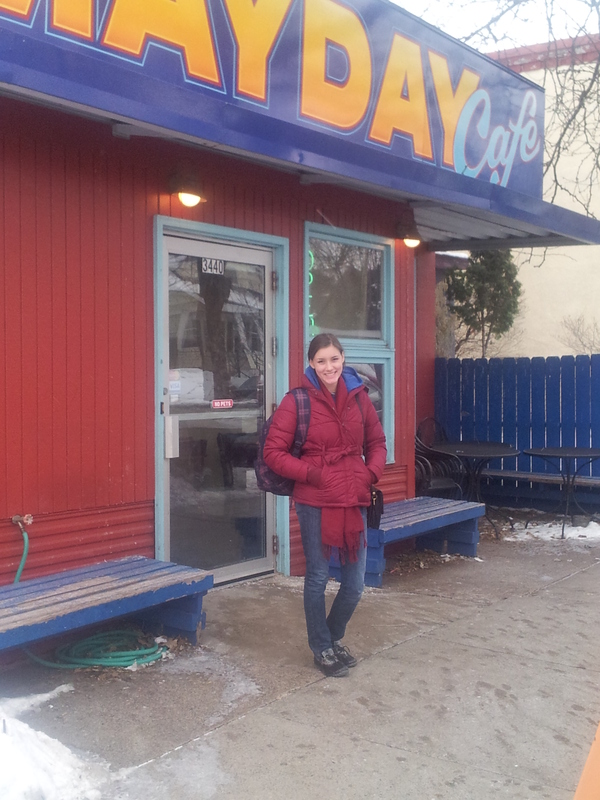 I waited months to take my coolio sister to the Mayday Cafe which is her namesake. I discovered it on a wonderful exploration day and then joyfully bided my time until I could take her there. 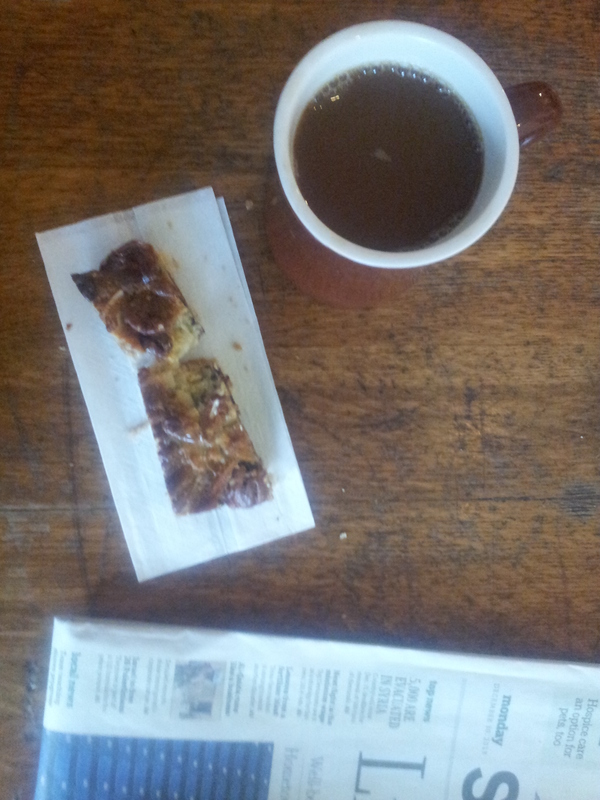 The small things. 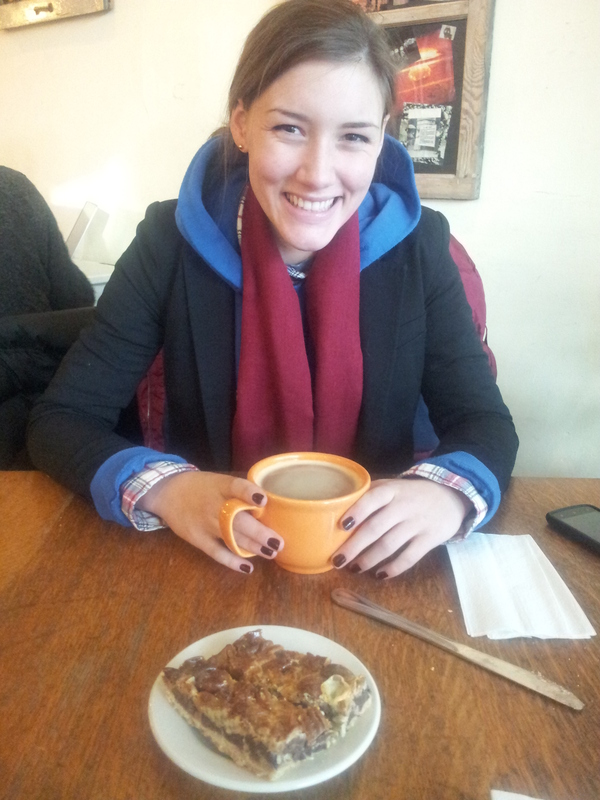 I split a 7-layer bar with her for breakfast and then felt sick for hours. I will never make 7-layer bars after this. They are over-sweet, and I have no use for their sickly, cloying consistency, even if I am from the Midwest and occasionally attend potlucks. The end. Winter white. Not that starched, breezy, blinding white that you see in the summer, but the warm, nubby soft white that you see in knit sweaters and felt berets during the cold half of the year. I know that all those rules about “Don’t wear white after Labor Day” don’t really apply in today’s fashion world, but something of that outdated wisdom has impressed itself upon me, and I never want to wear true white during the winter. This could also be because everything I own that is regular white is too thin to wear in the winter, but I’ll just pretend I’m clinging to my Mama Ingalls wisdom. A penny saved is a penny earned, and all that. 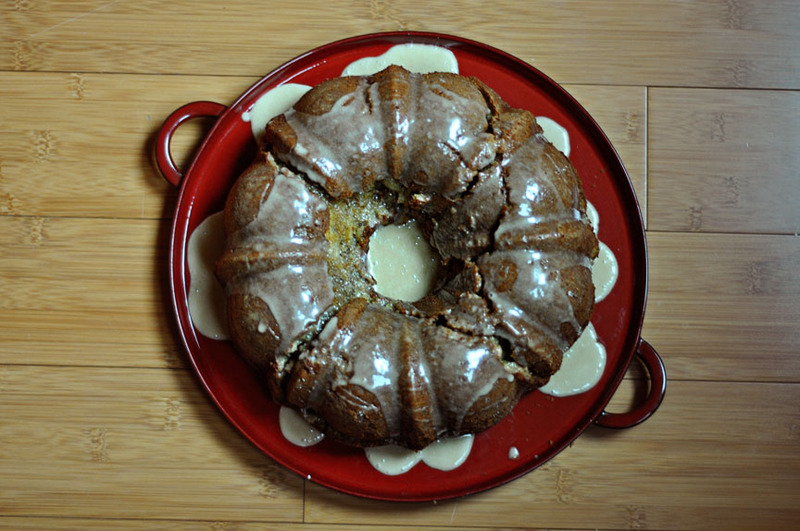 In the case of this bundt, haste does, in fact, make waste. I didn’t grease the pan well enough, and I was sloppy trying to get it out, which made it break in pieces. Additionally, I threw together a glaze that turned out too thin because I was trying to give it a punchy espresso kick, which I felt was needed after I noshed a couple of the broken crumbs. Seriously, every time I try and make a cofffe-flavored baked good, it is never strong enough for my taste. I should probably just drink coffee if I want to taste coffee. Haha, Lauren. Good thinking. But beauty is as beauty does. Even though I wasn’t about to disgrace my name and enter this cake in the state fair, it was still yummy. 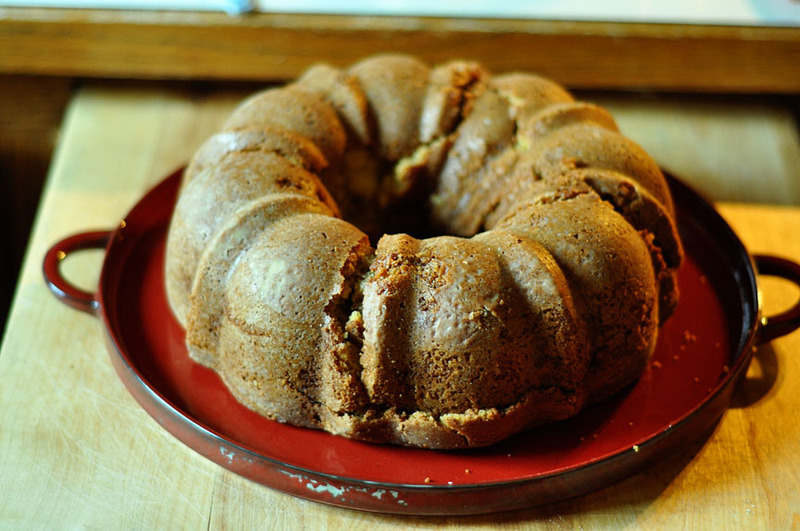 It had a crispity edge and dense, moist crumb typical of bundt cakes, lightly scented with espresso. In other words, the perfect post-meal slice which will, incidentally, sit primly on your counter until tomorrow morning, waiting to be savored with your morning cuppa. A cake’s life purpose fulfilled. Position a rack in the center of the oven and preheat to 350 degrees F. Generously pray the inside of a 12-cup Bundt pan with non-stick spray. Dust with flour and tap out the excess. 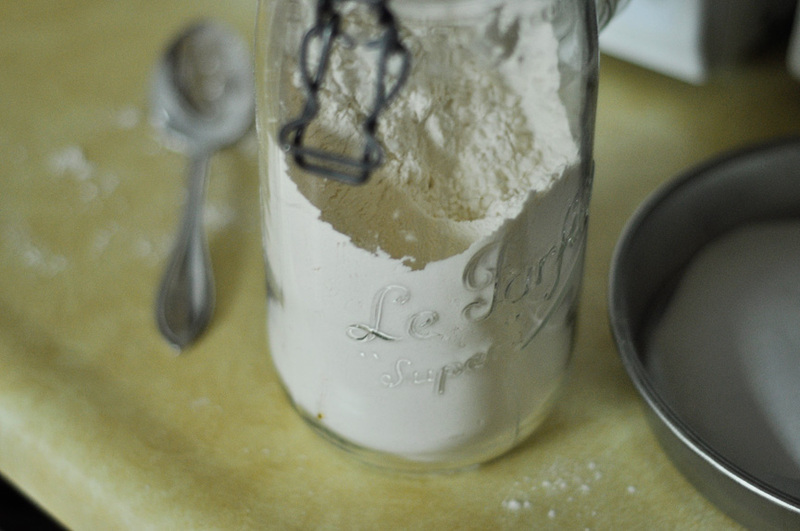 Whisk the cake flour, baking powder, baking soda, and salt together in a bowl. Beat the butter and granulated sugar together in a large bowl with an electric mixer on medium-high speed until light and fluffy, about 3 minutes. Beat in the eggs, one at a time and then the vanilla. Reduce the mixer speed to low. Add the flour mixture in thirds, alternating them with two equal additions of the sour cream, and scraping down the sides of the bowl as needed, mixing until smooth. Transfer one-third of the batter to a medium bowl. Whisk in the cold espresso. Spoon half of the plain batter into the prepared pan. Top with the espresso batter, and then the remaining plain batter. Smooth the batter with a spatula. Bake until a skewer inserted in the center of the cake comes out clean, 50 minutes to an hour. Let cool for 15 minutes, then run a knife around the inside of the pan to loosen the cake and invert onto a wire rack to cool completely. Glaze the cake with 1 cup powdered sugar + 3 tablespoons espresso. My glaze was too runny because I was trying to make it more coffee-flavored; yours should be a little thicker. So to land this: You might have great intentions in nicknaming me Harim (“with pierced nose”), but just because you call me that does not mean I am going to get my nose pierced. And you can persist in calling muffins “breakfast,” but it’s not necessarily true. That is, assuming you feel that you should be eating wholesome, healthy things for breakfast instead of cake with a few bits of fruit tossed in. Eating healthy things for breakfast is a belief that I do not always ascribe to, especially on even-numbered days of the week. I think that if I had unlimited time, I would eat dessert for breakfast every day, just to make sure I got my daily dessert serving in. And so comes the inspiration for this cake. 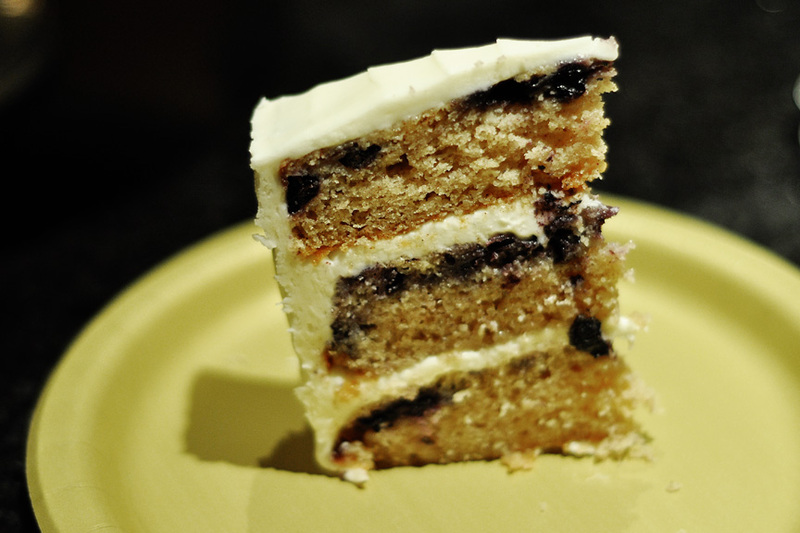 Three glorious layers of baked blueberry pancake batter enrobed in sweetly tangy cream cheese frosting that ended up tasting like a bakery-style blueberry muffin. It is the second installment of cake I developed for my dear cousin’s baby shower. Breakfast-themed cakes galore, including a Nutella mousse cake, because, as the commercials will tell you, Nutella is made with skim milk, which, of course, makes it breakfast-appropriate. Maybe I’ll just rename everything I want to change. “Hey you! Your name is now ‘Never-merges-at-the-last-second-and-kills-me. '” Worked out well enough this go-round. Preheat oven to 350F. Line 3 8-inch round pans with a round of parchment. Grease and flour the parchment, tapping out the excess. In a large bowl, whisk together the first six dry ingredients. 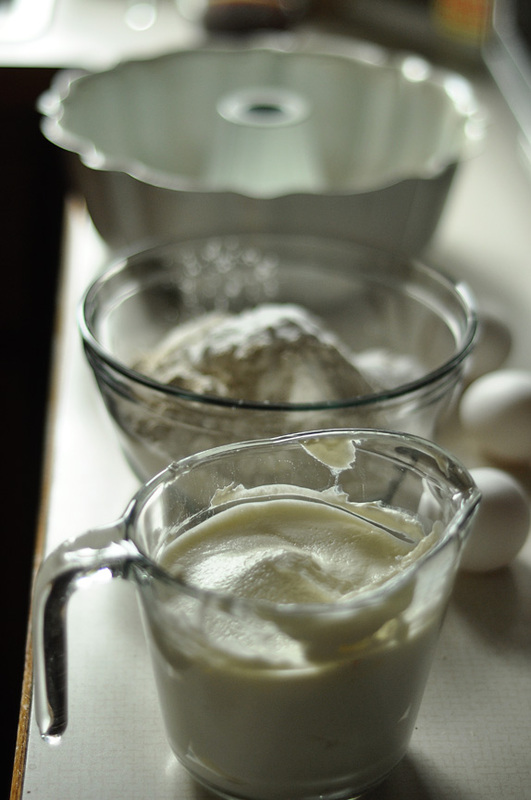 In a separate medium bowl, whisk together the next five wet ingredients (through vanilla). 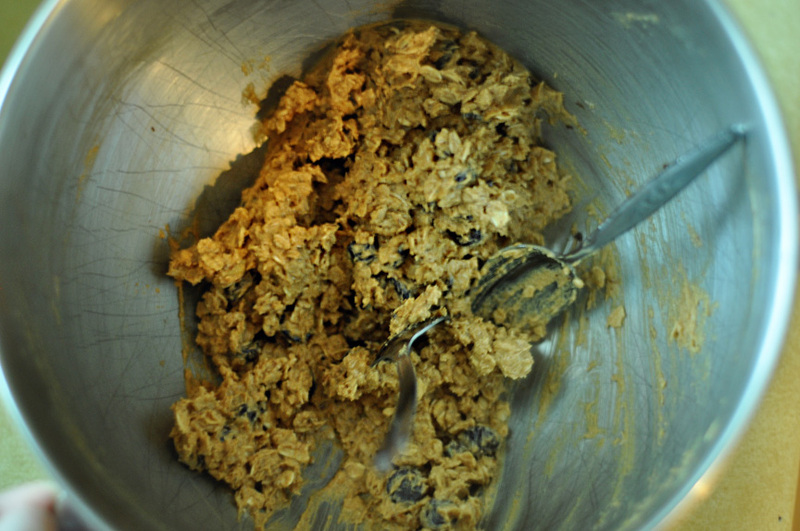 Add the wet mixture to the dry, mixing lightly with a spoon or folding with a spatula until just combined. It will have some lumps. Don’t overmix. Gently fold in the frozen blueberries. Divide the batter between the cake pans and bake for 30-50 minutes until center is no longer jiggly and the cake is domed and golden. I checked my cakes at around 30 minutes and found that they were getting a little too brown before they were set, so I covered them with foil for the remainder of the baking time. Your baking time will totally depend on if your blueberries are fresh or frozen and how much water they release, so just watch them. Let cool in pans for 10 minutes, then turn out onto a wire rack to cool completely. Beat the butter and cream cheese on medium-high speed in a stand mixer fitted with a paddle attachment until well-combined and fluffy, about three minutes. Reduce the mixer speed to low, and add the powdered sugar, one cup at a time, until incorporated. Add the extracts, then beat on high speed until light and fluffy, three or four minutes more. Frost as desired. Don’t lick hot sugar today. You will burn your tongue off. Happy Valentine’s Day.